ONLINE "LIVE" OCTOBER 10TH THRU 13TH 8:30AM PT About IJSBA, The International Jet Sports Boating Association is the worldwide sanctioning body for personal watercraft competitive racing. IJSBA leadership on international affairs has stimulated global activity. We maintain uniform racing rules worldwide by assisting international affiliate organizations. The IJSBA has members in more than 50 countries worldwide and is the only recognized sanctioning and governing body in more than 43 International Affiliated countries. The IJSBA’s International Affiliate Membership program has been successful in providing the watercraft industry with “worldwide leverage” and the ability to respond rapidly to both international and national problems. A national personal watercraft association illustrates the old adage “there is strength in numbers.” From fun to safety, the combined efforts of many personal watercraft affiliates, clubs, promoters and racers can accomplish far more than one single person or unit can. By sharing responsibility, members can spread the workload required for organized rides, beach maintenance, and preservation of riding areas among many people. At the same time, an International Affiliate perform a very important function: building a reputable public image for the sport of personal watercraft riding and other related activities. Currently, there are over 200 clubs and promoters in more than 50 affiliated countries worldwide forming a very powerful network of personal watercraft owners, riders and enthusiasts. National Championship Races. Next up the competition ladder are the many worldwide National Championships, a number of races which determine both the National Champion and the eligibility for participation at the World Championship. The IJSBA sanctions over 43 National Championships worldwide. World Finals. 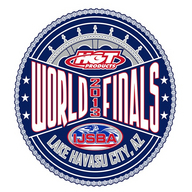 The IJSBA World Finals, held every year since 1982 in Lake Havasu City, Arizona U.S.A., is the true focal point on the international calendar. This is the most venerable and prestigious single personal watercraft event in the world. With an invitation-only policy attracting over 750 of the world’s best personal watercraft racers, the World Finals have been the cornerstone of IJSBA racing. Racers from around the world make the pilgrimage to Lake Havasu City every October for the opportunity to make their mark on the international stage. Long dominated by American riders because the sport was developed here, the “world” in World Finals is becoming more and more appropriate as the sport blossoms abroad. In 2009, competitors from 36 nations arrived to battle the American elite, with several international riders claiming the World Championship honors. The increasing prominence of IJSBA affiliate organizations in other countries means a true “World Series” may not be far off. In the meantime, October success at Lake Havasu remains the crown jewel for the world’s personal watercraft racing elite. Closed Course. A closed course event is a contest of speed and riding ability featuring several competitors negotiating multiple laps of a course approximately 1/2 mile (800mt) consisting of left and/or right hand turns. Closed course events are also held in arenas as well as indoor around the world.